Dubai UAE, February 06, 2019 – Ferrari N.V. (NYSE/MTA: RACE) (“Ferrari” or the “Company”) announced its consolidated preliminary results for the fourth quarter and twelve months ended December 31, 2018. Shipments totalled 9,251 units in 2018, up 853 units or +10.2% vs. prior year. This achievement was driven by a 19.6% increase in sales of our 12 cylinder models (V12), while the 8 cylinder models (V8) grew by 7.3%. The V12 performance was mainly led by the 812 Superfast, partially offset by lower sales of LaFerrari Aperta that finished its limited series run. 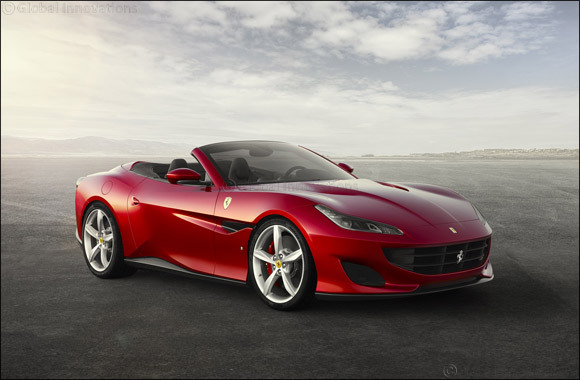 V8 performance was led by the ramp up of the Ferrari Portofino as well as the newly launched special series 488 Pista. Growth in shipments occurred across all regions: EMEA grew 13.1%, Americas increased by 6.7%, China, Hong Kong and Taiwan, were up 12.6% and Rest of APAC was up 7.8%. Net revenues for 2018 increased by a few million to Euro 3,420 million, up 0.1% at current currency and up 3.2% at constant currency. Revenues in Cars and spare parts (Euro 2,535 million, +3.2% at current currency or +6.9% at constant currency) were supported by higher volumes led by the 812 Superfast, as well as the ramp up of the Ferrari Portofino and the 488 Pista. Additionally, pricing and personalization programs positively contributed along with deliveries of the Ferrari J50 and first deliveries of the FXX K EVO, which was partially offset by lower sales of LaFerrari Aperta. The erosion in Engines revenues (Euro 284 million, -23.8% at current and constant currency) reflected lower shipments to Maserati. Sponsorship, commercial and brand revenues (Euro 506 million, +2.4% at current currency or +5.3% at constant currency) were up thanks to stronger revenues from sponsorship as well as a higher 2017 championship ranking compared to 2016, partially offset by lower sales generated by other brand related activities. Currency, including translation and transaction impacts as well as foreign currency hedges, had a negative impact of Euro 105 million (mainly USD, GBP and JPY).